Rice is the seed of the grass species Oryza sativa. It is the most widely consumed staple food for a large part of the world’s human population, especially in Asia. It is the agricultural commodity with the third-highest worldwide production, after sugarcane and maize. Approximately 90% of the world’s rice is grown in Asia continent and constitutes a staple food for 2.7 billion people worldwide. Rice is attacked by many diseases including Bacterial leaf Blight (BLB) caused by Xanthomonasoryzaepv. oryzae. Bacterial leaf blight of rice is one of the most caustic diseases of rice throughout the world. It was first noticed by the farmers in Fukuoka prefecture Kyushu Island, Japan, as early as in 1884-85. Bacterial Leaf Blight is a vascular disease. In Pakistan it can reduce the yield up to 20 to 30% so to come out from this problem many plant protection measurements used among which use of GPS and GIS for mapping out diseased portions in rice growing area is new sort of research in agriculture.The objective of this study will quantify the yield loss due to bacterial leaf blight by using EPIRICE and RICEPEST model. And a base map of the district will prepare by using Geographical Information System (GIS) to indicate the sampling sites and physical features of the area.Present piece of work will help the scientists and managers to predict those areas, potentially subjectedto disease appearance. By coupling GPS and GIS technologies with BLB disease detection tools and survey data, prevalence and incidence maps can be generated that depict well-defined geographical areas with high or low BLB risk. Moreover, the integration of GPS and GIS technologies with disease survey data will allows researchers to quantify (and better understand) the spatial and temporal dynamics of plant disease epidemics, and to examine how spatial disease dynamics are influenced by biotic and abiotic BLB risk factors. Rice (Oryzae sativa L.), is a member of family Poaceae and is one of the major food crop of the world especially of the most Asian countries like Pakistan, Bangladesh,China, Vietnam and Korea. Rice is placed on second position in cereal cultivation around the globe and occupies an important position in the economy of Pakistan as an exportitem as well as staple food (Zahidet al., 2005). It is the predominant dietary energy source for 17 countries in Asia and the Pacific, 9 countries in North and South America and 8 countries in Africa. Rice provides 20% of the world’s dietary energy supply, while wheat supplies 19% and maize (corn) 5%(Juliano and Bienvenido, 1993). Approximately 90% of the world’s rice isgrown in Asia (Salimet al., 2003). In Pakistan, it is the second staple food after wheat and it’s the second largest earner of foreign exchange after cotton. Pakistan is the 11th largest producer and 5th largest exporter of rice. Rice accounts 4.9% percent of the value added in agriculture and 1% percent of GDP of Pakistan. During July March 2013-14, rice export earned foreign exchange of US$ 1.667 billion. During 2013-14, rice is cultivated on an area of 2789 thousand hectares and production stood at 6798 thousands tones(PARC, 2015). It is however unfortunate that such an important crop is attacked by many kinds of diseases including Bacterial leaf Blight (BLB) caused by Xanthomonasoryzaepv. Oryzae.The causal bacterium Xanthomonasoryzaepv. oryzae is a gram negative non-spore forming rod shaped bacterium which is motile by single polar flagellum. Colonies on culture media are round and yellow in color due to production of a pigment called ‘xanthomonadin’(Ishiyama, 1922). Bacterial leaf blight of rice is one of the most destructive diseases of rice in many Asian countries. This disease become serious because many improved, high yielding varieties, when managed with high nitrogen levels and close spacing, have inadequate resistance to the pathogen. It starts as water soaked lesion on the tip of the leaves, increases in length downwards and turns into yellow to straw colored stripes with wavy margins. Lesions may be developed at one or both edges of the leaves or along the mid rib. In humid areas, on the surface of the young lesions, yellowish, opaque and turbid drops of bacterial ooze may be observed in the early morning (Eamchit& Mew, 1982). In Pakistan the disease was first time observed by Mew &Majid (1977), and after that Ahmad & Majid (1980)observed it on different rice varieties at Rice Research Institute, KalaShah Kaku and farmer’s fields. In Pakistan it can reduce the yield up to 20 to 30% (Ou, 1985). To reduce this problem many plant disease management practices are use. The new tactic GPS and GIS for spatial and temporal model analyses that used in agriculture as well as in the field of plant disease on a variety of scales, from single field to large agricultural area, to assess the connections between host, pathogens (Nelson et al.,1994). GIS has been applied in agriculture for the spatial analysis of insect pests (Everittet al., 1994), weeds (Wilson et al., 1993), and plant diseases(Orumet al., 1997). Weltzien, 1988 introduced the term “Geophytopathology” to describe studies of spatial patterns of plant diseases, the causal understanding of these patterns, and the geographic aspects of disease control. It will give a detailed description of the use of maps to illustrate the spread of plant diseases over regional or even continental scales and classified the types of maps that will be used for these purposes. The study of spatial distribution of diseases provides important information on where a disease is occurring and effects of environmental factors on plant disease epidemics. Based on that, preventive and control measures can be taken. Several spatial statistical techniques have been employed to characterize the distribution of plant pathogens and diseased plants (Wu etal., 2001). Geographic information systems (GIS) can describe, manipulate, analyze, and display the data of most variables referenced by geographic coordinates (Star and Estes, 1990). GIS can be adapted to any size operation, and data can be incorporated at any scale from a single field to an agricultural region to describe the spatial relationships and interactions between pathogens, hosts and environmental variables (i.e., soil type, temperature) in relation to plant disease epidemics (Nelson et al., 1999). Various analyses can be performed in GIS environment and maps can be derived for an effective and comprehensive management of plant disease. GIS have been applied in plant pathology for the spatial analysis of plant diseases epidemics (Nutter et al., 1995; Orumet al., 1997) and most extensively for mapping distributions of disease or specific genotypes of plant pathogen (Nelson et al., 1994). It has also been used in the plant disease epidemiology and management (Nelson etal., 1999). Thomas et al. (2002) geo referenced ground-based weather, plant stage measurements, and remote imagery in GIS software using an integrated approach to determine 6 insect pests and 12 disease risk map of various crops in northern California and Washington. Jaime-Garcia etal. (2001) spatially analyzed genetic structure of Phytophthorainfestans, the causal agent of late blight in a mixed potato and tomato production area in Mexico. Furthermore, GIS has been applied to determine the spatial relationship among soil texture, crop rotation and Aspergillus community structure (Jaime-Garcia and Cotty, 2006). In order to compare the effect of planting density on the distribution of Basal Stem Rot of oil palm, a GIS-based study was done on distribution pattern of the disease in an area about 10.88 ha in Malaysia from 1993 to 2005 (Azaharet al., 2011). Information management system will be playing pivotal role to enhancing agriculture production in the upcoming decades. Biological and physical aspects of agricultural systems produce spatial heterogeneity and as a result, patchiness is the rule in the occurrence and distribution of plant pathogens and disease (Campbell and madden, 1990). By application geographic information system (GIS) plant disease management practices can be improved. GIS is a computer base system capable of manipulating, and displaying data by geographic coordinates. GIS program is the best tool for disease forecasting. By coupling GPS and GIS technologies with BLB disease detection tools and survey data, prevalence and incidence maps can be generated that will depict well-defined geographical areas with high or low BLB risk (Star and Estes, 1990). The other objective of this study will to forecast the rice yield loss as result of BLB. To carry out this study we will link two existing models, EPIRICE and RICEPEST and we will apply them using spatially and temporally down-scaled climate change data to generate predictions. Linking RICE-PEST with GIS will allow us to map yield losses. Assessment of spatial and temporal distribution (prevalence, incidence & severity) of BLB in Lahore division. To develop distribution thematic maps of BLB of rice by using GPS and GIS technology in the specific geographic area of Lahore division as there is a need to consolidate the data into one data base and provide the ability to map and measure current and future infestations. Bacterial leaf blight was first noticed by the farmers in Fukuoka prefecture Kyushu Island, Japan, as early as in 1884-85.During 1908-10, it was commonly observed in the southwest of Japan and since 1926 it has been recorded in the northeast the disease increased markedly after 1950, and by 1960 it was known to occur in all parts of Japan except the northern Island of Hokkaido. (Ezuka&Kaku, 2000). This disease has now been shown to be a severe form of bacterial leaf blight of rice, which is found in various parts of the tropics. The disease occurs globally, from Asia to Africa and the Americas. Its distribution ranges from 20°S in Queensland, Australia, to 58° N in Heilang Jiang, China and from sea level to Tibetan Plateau. In Pakistan the disease was recorded for the first time by Mew & Majid (1977), latter on Ahmad &Majid (1980)observed it on rice varieties IR-6, Palman, Basmati-198 at Rice Research Institute, KalaShah Kaku and farmer’s fields. The disease is a typical vascular wilt, leaf blight being only the mild phase resulting from secondary infection. Reductions of 20-30 per cent have been observed in grain yields when infection was moderate and over 30 per cent when it was severe. A loss of about 47-75 per cent in yield has been reported in artificially inoculated crop. Bacterial leaf blight caused yield losses up to 50 per cent in paddy field. Singh and Nanda (1975) studied about the correlations and path analysis of yield, yield components and incidence of bacterial leaf blight of rice. . Bacterial blight of rice has high epidemic potential and is destructive to high-yielding cultivars in both temperate and tropical regions especially in Asia. Its occurrence in the 70s in Africa and the Americas has led to concerns about its transmission and dissemination. Research on bacterial blight of rice was commenced in Japan as early as in 1901, and the efforts were focused mainly on ecological studies and chemical control. Since then, significant gains have been made in understanding BLB through analysis of the interactions between X. oryzae pv. oryzae and rice at many levels, including studies focused on the epidemiology, population biology, physiology, cell biology, biochemistry, and molecular genetics of the host pathogen interaction. It is very notable that BLB became the first case where the genome sequencing of both host plant and pathogen was completed. Lee (1975) reported that yield reduction was directly related to the amount of infection on the upper leaves at the heading stage. Crop loss assessment studies have revealed that this disease reduces grain yield to varying levels, depending on the stage of the crop, degree of cultivar susceptibility and to a great extent, the conduciveness of the environment in which it occurs. The disease is known to occur in epidemic proportions in many parts of the world, incurring severe crop loss of up to 50 per cent. Bacterial blight is a vascular disease resulting in a systemic infection that produces tannish-grey to white lesions along the veins. Symptoms are observed at the tillering stage, disease incidence increases with plant growth, peaking at the flowering stage (Mew and Annu, 1987). Leaves of the entire plant turn pale yellow and wilt during the seedling to the early tillering stage, resulting in a partial or total crop failure.Leaves of young plants as pale-green to grey-green, water-soaked streaks near the leaf tip and margins. These lesions coalesce and become yellowish-white with wavy edges. The whole leaf may eventually be affected, becoming whitish or greyish and then dying. Leaf sheaths and culms of more susceptible cultivars may be attacked. Systemic infection results in wilting, desiccation of leaves and death, particularly of young transplanted plants. In older plants, the leaves become yellow and then die. In its advanced stages, the disease is difficult to distinguish from leaf blight caused by Xanthomonasoryzae pv. oryzicola, but lesion margins are wavy rather than linear as for the former. Damage is often associated with lepidopteran leaf rollers, leaf-folders and hispa beetles, since bacteria readily enter the damaged tissue caused by insect infestation. Plants less than 21 days old are the most susceptible. Bacterial blight is characteristic of yellow lesions with wavy margins on leaf blades that may extend to the sheath. These lesions acquire a whitish straw color over a period of time. The occurrence of bacterial ooze from infected leaves has been observed in warm and humid climates, which contributes to the spread of this disease (Mew and Alvarez, 1993). GIS had been applied in plant pathology for the spatial analysis of plant diseases epidemics (Nutter et al., 1995; Orumet al., 1997) and most extensively for mapping Distributions of disease or specific genotypes of plant pathogen (Nelson et al., 1994). Ithad also been used in the plant disease epidemiology and management (Nelson etal., 1999). GIS maps are digital, interactive, loaded with information. 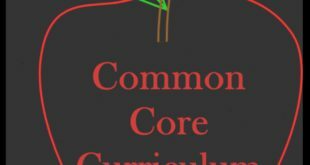 Each category of information is called a theme or layer. It is GIS that can integrate layers of information in one place. The GIS technology is fast, becoming an efficient tool in research of all kinds that relate to geographic location in one way or other (Main et al., 2004; Ahmad et al.,2010). Computer technology has been broadly utilized to design application systems for weed management since last two decades. Miller & Stafford (1991) proposed amap-based approach in which weed populations located on a map can be converted to a treatment or application map and used to control the sprayer. Stafford et al., (1996) described a technique for generation of weed distribution maps with GPS in which a backpack weed distribution map recorder enables a farmer to log information on weed patches on a hand-held computer as he walks a field. GIS program is the best tool for disease forecasting. In case of plant disease management, the data of soil suitability index and rainfall are the important information for disease prevention and control (Star and Estes, 1990). In Gilgit-Baltistan specifically CKNP region scanty information is available on distribution of black scurf of potato. Prevalence and incidence maps of BPMV risk generated (Esker et al., 2006). Moreover, the integration of GPS and GIS technologies with disease survey data allows researchers to quantify (and better understand) the spatial and temporal dynamics of plant disease epidemics, and to examine how spatial disease dynamics are influenced by biotic and abiotic BPMV risk factors. Such risk factors may include seasonal and geographic distributions of insect vectors, co-occurrence of BPMV with other soybean pathogens, climate influences on winter survival of bean leaf beetle populations, and crop management practices (Giesleret al., 2002). This technique is also used to describe the distributionof lettuce downy mildew in space and over time in the Salinas valley (Wu et al., 1999) The main benefit of GIS is that it can be done on distribution pattern of the Disease and plant pathogens on vast area (Azaharet al., 2011). GIS technology applied on different plants for mapping, surveying and distribution of pathogens in fields. The integration of GPS and GIS technologies with disease survey data allows researchers to quantify (and better understand) the spatial and temporal dynamics of plant disease epidemics, and to examine how spatial disease dynamics are influenced by biotic and abiotic BLB risk factors. Such risk factors may include seasonal and geographic distributions of rice diseases and other pathogens (Nelson, et al., 1994). The availability of risk maps prior to planting could facilitate the geographic deployment of disease management tactics that support the principles of precision Agriculture (Nutter,2007). Apart from weeds, pests and diseases also are major biotic stresses that can cause significant reduction in rice yield. BLB is important disease in rice caused by xanthomonasoryzae that cause reduction in yield (Verdieret al., 2012). Weather conditions impact both the occurrence and gravity of plant diseases. Climate change is likely to affect plant disease (Anderson et al., 2004). Increase in disease incidence and severity may deter farmers from investigating in intensification measures because of risks related to yield losses or even total crop failure. Savary and his colleagues develop EPIRICE, a GIS-linked plant disease severity model capable of simulating several important diseases of rice including BLB (Savaryet al., 2012). Most recently Kim et al., (2015) use a modified version of EPIRICE model to evaluate the potential impact of climate change on leaf blast and sheath blight in South Korean rice. Rice is staple food in our area and is grown on large scale after wheat. Bacterial leaf blight of rice, caused by Xanthomonasoryzae. Bacterial blight is found worldwide and is particularly destructive in Asia. In many Asian countries, bacterial blight has become endemic on rice. It also cause great losses in Pakistan in production of rice. So to avoid this loss of rice a new technology is used in agriculture for management of diseases that is computer based called GIS. The study will identify factors that correlate strongly with disease/pathogen risk and that can be used to predict future disease risk in terms of the occurrence, prevalence, and level of a disease/pathogen incidence within a defined host population. The impact of climate change as forecasted on rice yield loss as result of bacterial leaf blight. To carry out this study we will link two models, EPIRICE and RICEPEST which will predict the loss in yield of rice. The prevalence and incidence of a pathogen/disease at higher spatial scales (county, state, region etc.) will reveal important area-specific disease/pathogen risk factors that operate at spatial scales above the field scale. 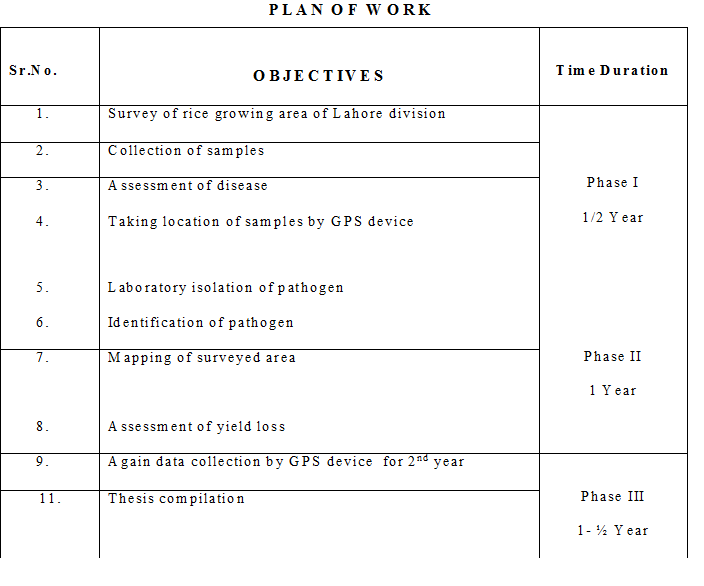 Disease/pathogen mapping using global positioning systems (GPS) and geographical information systems (GIS) technologies will be used in plant pathology to geospatially define disease prevalence and severity Both GPS and GIS will be used in our work for identifying severity, prevalence and distribution to disease in Lahore division where rice is grown. This will be depicted by drawing map which will show the presence of disease in particularly area. Then it will be easy to farmers and Government policy maker to identify the specified area which is effective and it will be cure efficiently. Lahore division includes the districts of ShekhuPura, Kasur and Okara will be survey for rice fields.These are the main areas of rice production in Punjab. Rice plants showing typical symptoms of bacterial blight will be collected. The collected samples will be packed in polythene bags and transferred to the laboratory for variability study among the isolates. Xanthomonasoryzaepv. oryzae (Xoo), the causal agent of bacterial leaf blight will be isolated from the diseased plants of rice. Infected leaf pieces 28×7 mm of rice were excised with sterile scalpel. The leaf surface was sterilized with 1% Clorox (Sodium hypochlorite) for three minutes and then washed with sterile distilled water (SDW). Leaf pieces (6-7) of rice leaves after drying on sterile blotting paper were transferred to nutrient agar (NA) medium and incubated at room temperature (25-27°C) for 72hrs (Jabeenet al., 2012). The emerging colonies were sub-cultured onto NA plates and to get pure culture. Cultures were preserved for longer duration (at 4°C) on NA slants. Pure culture was identified at biases of morphology. At each location will be surveyed, rice fields will be observed visually for the presence and/or absence of bacterial blight. For disease prevalence (3-7) farms from each district will be selected and calculated on the percentage of farms found infected in a locality survey. For calculating actual incidence of disease in a field, plants will be observed at ten points along a diagonal transect (IRRI, 1996). Points will be selected randomly five paces apart, starting ten meter inside the field. At each point, five plants were examined for disease symptoms. Actual incidence of disease in a field will be recorded then as percentage of infected plants out of total plants examined as outlined below. Severity of disease in a field was recorded as percentage of tissue area infected out of total leaf area examined. Percentage average lesion area of 15 leaves collected was measured for disease severity in each field. 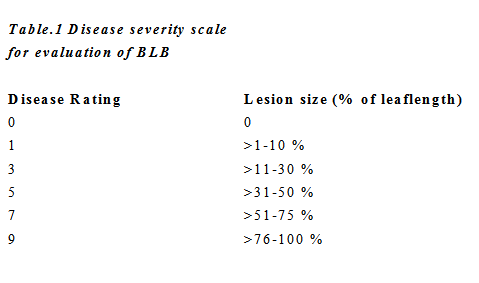 Following scale was used for scoring of BLB severity in field (Chaudhry, 1996, Table1). A file consisting of data for X and Y coordinate in respect of sampling site location will be created. A shape file (vector data) showing the outline of selected area will be created in Arc Map 10.1. The file will be opened in the project window and in X-field, X-coordinate will be selected and in Y-field, Y-coordinate will be selected. The Z field will be used for disease prevalence incidence and severity of each village. Yield loss assessment will be quantified by using two models that are EPIRICE and RICEPEST model. It simulates unmanaged spatial epidemics of bacterial leaf blight. Models inputs are date of crop establishment and weather data; precipitation, maximum and minimum temperature and relative humidity. The model produces disease severity and a single aggregated output, a map, of measure area under disease progress curve (AUDPC) (savaryet al., 2012). It simulates yield losses due to BLB. Model inputs are radiations, temperature, disease severity from (EPIRICE) and production situations. The model produces attainable yield and actual yield as output (Willocquetet al., 2000, 2002). To facilitate coupling of EPIRICE and RICEPEST a temporal disaggregation function will incorporated into EPIRICE model. 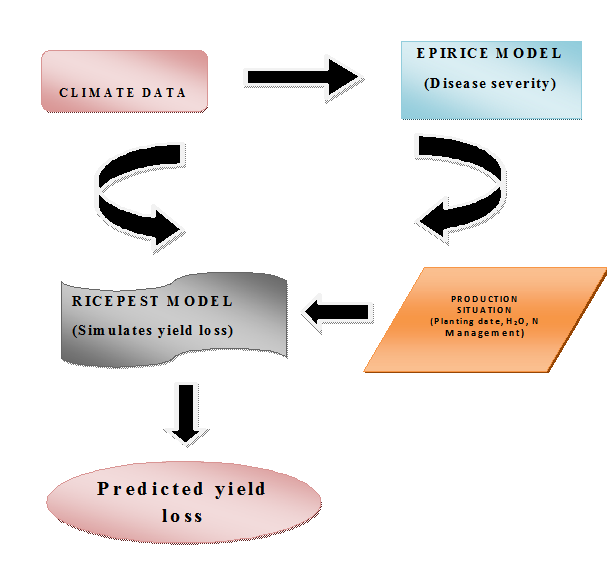 The modified EPIRICE model will be use as input for RICEPEST model for calculation of yield loss. 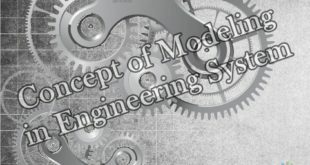 Both models will be linked to a geographic information system. Ahmad, S. S., Sherazi, A., & Shah, M. T. A. (2010). A preliminary study on climate change causing decline in forest cover area in District Chakwal, Pakistan. Pak. J. Bot, 42(6), 3967-3970. Ahmad, W. and Majid.(1980). Incidence of bacterial blight of rice in Punjab (Pakistan). (IRRN), 5:5. Ali, A., Khan, M. H., Bano, R., Rashid, H., Raja, N. I., & Chaudhry, Z. (2009). Screening of Pakistani rice (Oryzae sativa) cultivars against Xanthomonasoryzapvoryzae. Pakistan Journal of Botany, 41(5), 2595-2604. Azahar, T. M., Mustapha, J. C., Mazliham, S., &Boursier, P. (2011). Temporal analysis of basal stem rot disease in oil palm plantations: An analysis on peat soil. Int. J. Eng. Technol, 11(3), 96-101. Campbell, C.L., Madden, L.V., (1990). Introduction to Plant Disease Epidemiology. New York, NY, USA: Wiley. Eamchit, S. and T.W. Mew. (1982). Comparison of virulence of Xanthomonascompastrispv. Oryzaein Thailand and the Philippines.Plant Dis., 66(7): 556-559. Esker, P. D., Harri, J., Dixon, P. M., & Nutter Jr, F. W. (2006). Comparison of models for forecasting of Stewart’s disease of corn in Iowa. Plant disease, 90(10), 1353-1357. Everitt, J. H., Escobar, D. E., Summy, K. R., & Davis, M. R. (1994). 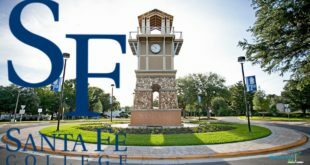 Usingairborne video, global positioning system, and geographical information system technologies for detecting and mapping citrus blackfly infestations. Southwestern Entomologist, 19, 129-129. Giesler, L. J., Ghabrial, S. A., Hunt, T. E., & Hill, J. H. (2002). Bean pod mottle virus: a threat to US soybean production. Plant Disease, 86(12), 1280-1289. Ishiyama, S. (1922). Studies on bacterial leaf blight of rice. In: Report of Agricultural Experiment Fertilization for Maximizing economic Crop yields. Pakistan Research Council, Islamabad. 1-8. Jabeen, R., Iftikhar, T and Batool H. ( 2012). Isolation, characterization, preservation and pathogenicity test of Xanthomonasoryzae PV. Oryzae causing BLB disease in rice. 44(1): 261-265. Jaime-Garcia, R., &Cotty, P. J. (2006). Spatial relationships of soil texture and crop rotation to Aspergillusflavus community structure in South Texas. Phytopathology, 96(6), 599-607. Jaime-Garcia, R., Orum, T. V., Felix-Gastelum, R., Trinidad-Correa, R., VanEtten, H. D., & Nelson, M. R. (2001).Spatial analysis of Phytophthorainfestans genotypes and late blight severity on tomato and potato in the Del Fuerte Valley using geostatistics and geographic information systems. Phytopathology, 91(12), 1156-1165. Juliano, B. O. (1993). Ricein human nutrition (No. 26). Int. Rice Res. Inst. Lee, K. H. (1975). Studies on the epidemiology and control of bacterial leaf blight of rice in Korea. Korean journal of applied entomology, 14(3), 111-131. Kim, K.H., Cho, J., Lee, Y.H., Lee, W.S. (2015). Predicting potential epidemics of rice leaf blast and sheath blight in south korea under the RCP 4.5 and RCP 8.5 climate change scenarios using a rice disease epidemiology model, EPIRICE. Agric For Meteorol 203(0):191–207. Main, C. L., Robinson, D. K., McElroy, J. S., Mueller, T. C., & Wilkerson, J. B. (2004). A guide to predicting spatial distribution of weed emergence using geographic information systems (GIS). Applied Turfgrass Science, 1(1), 0-0. Mew, T. W. (1987). Current status and future prospects of research on bacterial blight of rice. Annual review of phytopathology, 25(1), 359-382. Mew, T. W., Alvarez, A. M., Leach, J. E., & Swings, J. (1993). Focus on bacterial blight of rice. Plant disease, 77(1), 5-12. Mew, T.W. and A. Majid. 1977. Bacterial blight of rice in Pakistan. IRRN. 2(1): 5. Nelson, M. R., Felix-Gastelum, R., Orum, T. V., Stowell, L. J., & Myers, D. E. (1994). Geographic information systems and geostatistics in the design and validation of regional plant virus management programs. Phytopathology, 84(9), 898-905. Nutter, F. F. (2007).The role of plant disease epidemiology in developing successful integrated disease management programs.In General concepts in integrated pest and disease management (pp. 45-79).Springer Netherlands. Orum, T. V., Bigelow, D. M., Nelson, M. R., Howell, D. R., &Cotty, P. J. (1997). Spatial and temporal patterns of Aspergillusflavus strain composition and propagule density in Yuma County, Arizona, soils. Plant Disease, 81(8), 911-916. Paice, M. E. R., Miller, P. C. H., & Day, W. (1996). Control requirements for spatially selective herbicide sprayers. 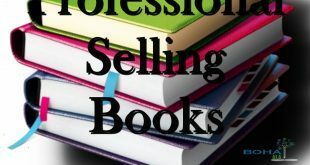 Computers and electronics in agriculture, 14(2-3), 163-177. Fertilization for Maximizing economic Crop yields..Pakistan Research Council, Islamabad. 1-8. Savary S, Nelson A, Willocquet L, Pangga I, Aunario J. (2012) Modeling and mapping potential epidemics of rice diseases globally. Crop Prot 34(0):6–17. Singh D.P. ; Nanda, J.S. (1975). Inheritance of resistance of bacterial leaf blight of rice.Journel of Heredity 66. 384-386. Stafford, J. V., Le Bars, J. M., & Ambler, B. (1996). A hand-held data logger with integral GPS for producing weed maps by field walking. Computers and electronics in agriculture, 14(2), 235-247. Star, J.J.E. Estes, 1990.Geographic Information System.Station, Tokyo 45: 233-261. Thomas, C. S., Skinner, P. W., Fox, A. D., Greer, C. A., & Gubler, W. D. (2002). Utilization of GIS/GPS-based information technology in commercial crop decision making in California, Washington, Oregon, Idaho, and Arizona. Journal of nematology, 34(3), 200. Weltzien, H. C. (1988). Use of geo phytopathological information. In Experimental techniques in plant disease epidemiology (pp. 237-242).Springer Berlin Heidelberg. 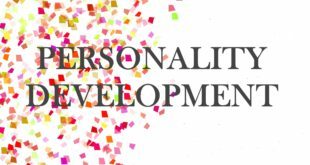 Willocquet L, Elizegui FA, Castilla N, Fernandez L, Fischer KS, Peng S, Ten PS, Srivastava RK, Singh HM, Zhu D, Savary S (2004). Research priorities for rice management in tropical Asia: A simulation analysis of yield losses and management efficiencies. Phytopathology 94:672–682. Wilson, J. P., Inskeep, W. P., Rubright, P. R., Cooksey, D., Jacobsen, J. S., & Snyder, R. D. (1993). Coupling geographic information systems and models for weed control and groundwater protection. Weed technology, 255-264. Wu, B. M., Van Bruggen, A. H. C., Subbarao, K. V., &Pennings, G. G. H. (2001). Spatial analysis of lettuce downy mildew using geostatistics and geographic information systems. Phytopathology, 91(2), 134-142. Zahid, M.A., M. Akhtar, M. Sabir, M. Anwar and A. Jamal. ( 2005). genotypic and phenotypiccorrelation and path analysis in coarse grain rice. Proceeding of the International ceminarinricecrop.Oct 2-3. Rice Research Institute, Kala Shah Kaku. 29.